Shape Services has updated its Business Card Reader app, adding high-resolution graphics for the iPhone 4’s Retina display, as well as improved contact adding and sorting features. Business Card Reader is designed to make the life of the mobile networker easier. When you’re given a business card by a new contact, Business Card Reader will use your iPhone’s camera to scan an image of the card, then process it with its text recognition technology to capture the card’s contact information. 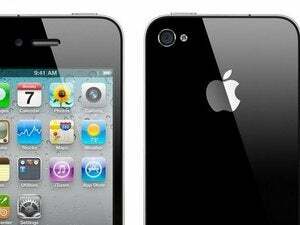 The result is saved to your iPhone’s address book. 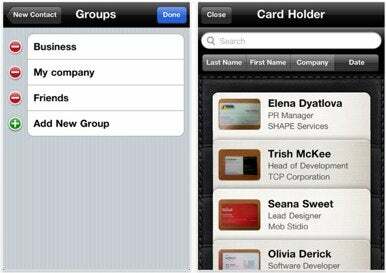 Business Card Reader 1.4 has been updated with high resolution graphics designed for the iPhone 4’s Retina display, as well as the ability to add contacts to specific groups in your address book. A new Card Holder feature lets you sort your Business Card Reader contacts by last name, first name, company, or date added. Business Card 1.4 costs $6 and runs on iOS 3.1 or later.